The Catholic Artists Society cordially invites all members and friends to the annual Mass for Artists, Sunday, May 21, at 4 o’clock, at the newly restored Basilica of St. Patrick’s Old Cathedral in Soho (Mott St. between Prince and Houston). The musical setting will be Gounod’s Mass No. 4 in C. The choir will also sing motets by Palestrina and Croce. 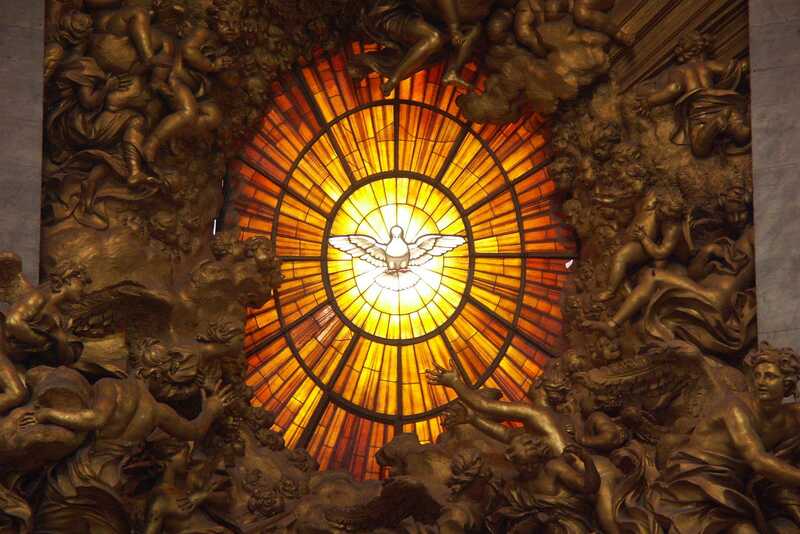 The Mass is offered for all artists, that their hearts might be cleansed and their minds enlightened by the inpouring of the Holy Spirit. Fr. Sebastian White, O.P., will offer the Mass in the Ordinary Form. A reception will follow in the Basilica courtyard, weather permitting. Bring a friend! If you love me, keep my commands. And I will ask the Father, and he will give you another advocate to help you and be with you forever—the Spirit of truth.